A basic chicken salad recipe that you can dress up to suit your fancy. I think I've discovered something about myself. I *think* I might have a chicken salad addiction. I was just saving this photo and realized this is the third chicken salad recipe I've posted in less than a year. Also check out my recipes for Buffalo Chicken Salad and Golden Pecan Chicken Salad and this post for Chicken Salad 3 Ways that includes Cranberry Pecan Chicken Salad and Avocado Ranch Chicken Salad. That’s probably because I refuse to let anything – especially meat – go to waste. I made this batch with the two breasts that were left over from the chickens I roasted this weekend and it’s served my lunch box well this week. You can add stuff to this recipe to suit your fancy. This is just a good, basic chicken salad recipe. Sometimes I add minced celery, sweet pickle relish and/or chopped boiled eggs. And sometimes I like it plain just like this. I mentioned this in the Golden Pecan Chicken Salad recipe but I’ll post it here again… There’s a little trick to this recipe that you don’t want to skip. I saw Julia Child do this once on a cooking show and it’s been scorched into my brain ever since. You “marinate” the cooked chicken in the seasonings and a little olive oil before adding the other ingredients. This helps the chicken absorb the flavors and stay moist. You don’t have to use near as much mayo when you make it this way either. So, the end result is more flavorful and you don’t have use as much mayo? Double score! Combine chicken, olive oil, thyme, salt and pepper in a medium bowl and mix well. Cover and refrigerate at least 30 minutes (or up to 4 hours). Add mayo and mix well. Salt to taste if necessary and/or add more mayo to your liking. Cover and refrigerate until ready to serve. Feel free to add minced celery, diced onion, sweet pickle relish, chopped boiled eggs or anything else you enjoy (you'll likely need more than 1/4 cup of mayo if you add extra stuff - especially boiled eggs). 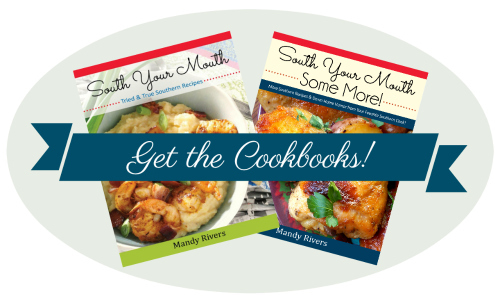 Just love your recipes and your writing - wish you were my neighbor! I absolutely love chicken salad! I will have to give this one a try. I love chicken salad on an toasted everything bagel, it's the best. How much celry and sweet pickle relish can I add to this salad. For this size batch I'd probably use one celery stalk and a heaping tablespoon of relish. 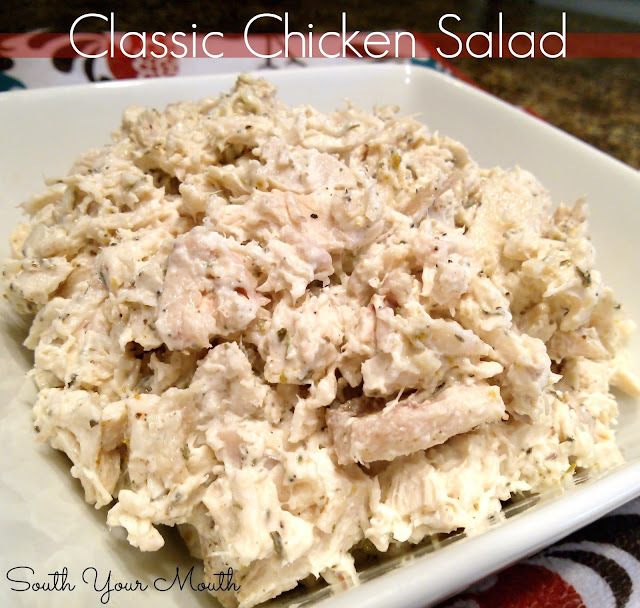 nice recipe chicken salad, i like this so nice, thanks for your sharing. nice chicken recipes. thank you for sharing this wonderful post. I love chicken salad! it's the best. thank you for posting this blog. wow nice post. thank you for sharing this post and keep updating. wow really nice blog. thank you for sharing.